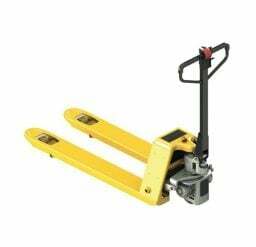 Pallet trucks are also available in a safety yellow powdercoated finish for use in corrosive environments. 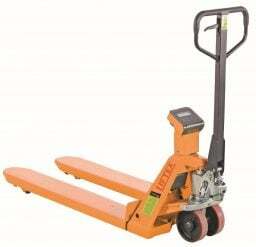 All our pallet trucks comes with a maintenance free pump which are all made using high quality parts and German seal kits and are fitted with long life rollers and steering wheels. Powered pallet jacks are popular in larger warehouse applications where a powered solution is required. If you’re looking for a solution for your workplace, our quality pallet trucks could be the answer you’re looking for. With our extensive knowledge, we only strive to provide the best high-quality solutions for your needs. 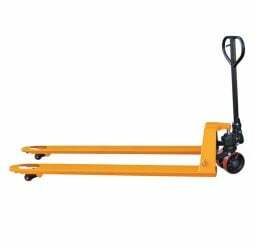 Our range of Krosstech pallet trucks are designed to Australian safety standards and are able to lift heavy weights, making it an ideal solution for warehouses or spaces where you’re needing to handle heavy materials. 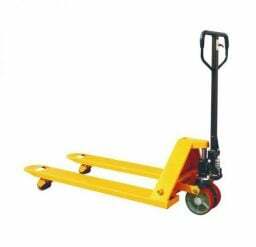 The Pallet Trucks feature standard polyurethane wheels and the standard size Pallet Truck is 2500Kg Cap – 685mm wide. If you want to encourage safe practices for materials handling, introduce safety procedures and increase efficiency, Krosstech pallet trucks are here to help. Our quality range of pallet trucks will allow you to incorporate a cost-effective solution to suit your industry’s needs. They are constructed with high quality materials, giving your business the perfect solution for materials handling. You’re able to work confidently knowing that you can rely on a quality pallet truck. We have been providing market-leading solutions with exceptional customer service since 1968. Krosstech’s understanding of the industry ensures we provide you with efficient and functional products for your materials handling processes and storage needs. We’re aware of the different demands and want to assist you in finding the right product for your unique needs. Contact us with any questions and we can offer our assistance in choosing the right materials handling equipment to best suit your needs. Browse our trusted range of other products to find handling and storage solutions for your workplace.